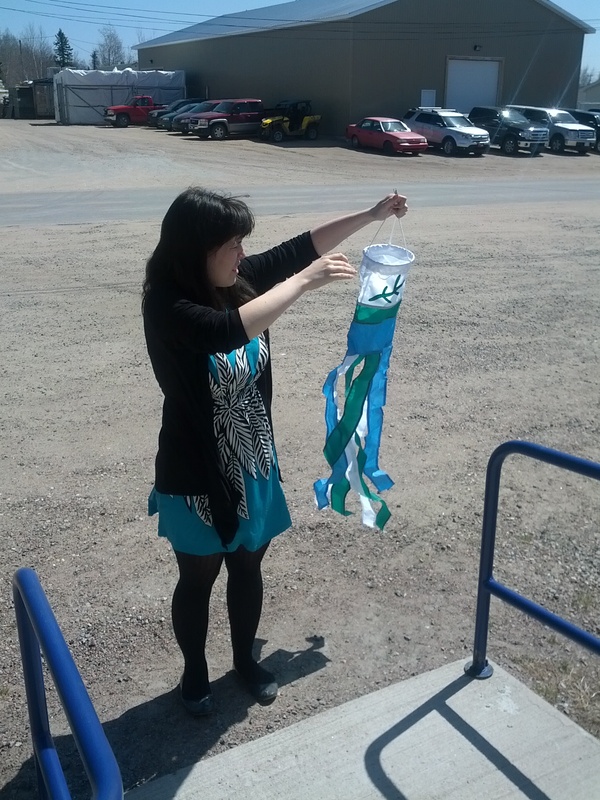 We have Labrador flags (and wind socks) here at our Them Days Office! The good news? You can come buy them as we continue to attempt to raise money for our archive and magazine endeavors. 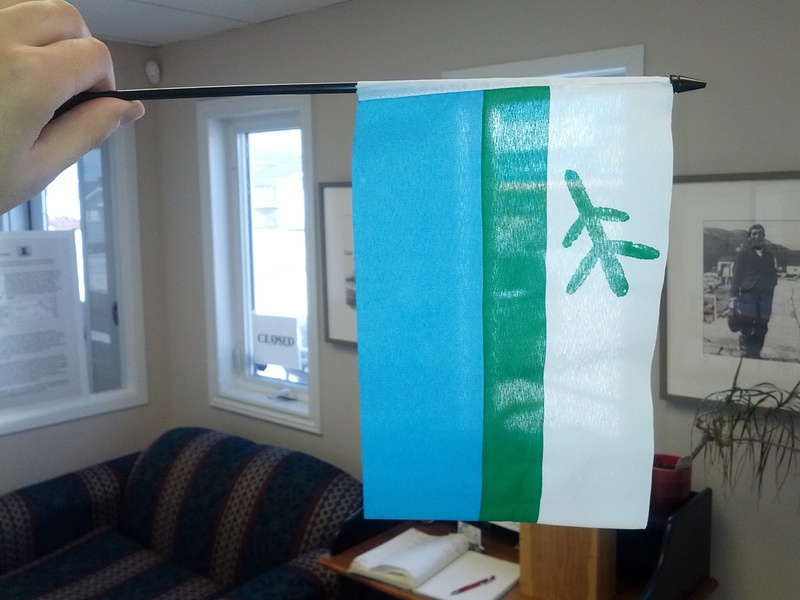 They arrived in the mail just a couple days ago and they’re looking great.The flags are of varying sizes, so you can display your Labrador pride anywhere. Looking for a place to try out the wind sock. Unfortunately it wasn’t very windy that day. Not shown are the larger-sized flags, but we they are here! 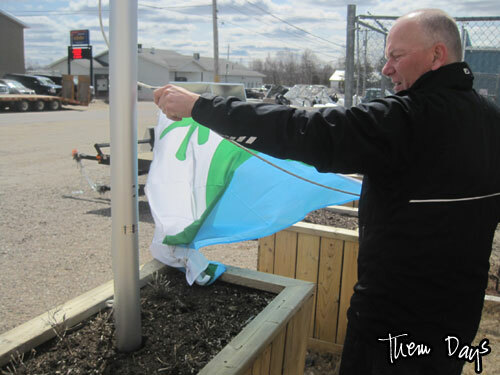 All flags and wind socks utilize the genuine Labrador flag design, as you can see from the pictures! At this point I would like to thank everyone for their continued support of Them Days, even reading this blog means a lot! Have a good day everyone. Hello again everyone, this is Wallace Chaulk. I’ve enjoyed working here at Them Days so much that I decided to work here again this summer. Pretty neat! Some of you may remember me, but I am going to throw in a quick introduction of me regardless. I am from the little village of Mud Lake, where I require commuting to and from each day by speedboat. I am a 22 year-old student who is currently working towards a degree in Psychology at Memorial University of Newfoundland. These last two semesters were rewarding experiences and I am looking forward to more. I like to relax and take it easy but helping out others is always worth it. I will be posting here on the blog on a regular basis about a whole bunch of things, just like last summer. I’ll cover anything from interesting finds in the archive, stories from around the office, local events and maybe some personal updates. We’ll see how it goes. As for now, I am helping Aimee and Daphne put out the upcoming issue. We are getting close to having it completed now! I hope to make some great contributions to the Fall issue as well. Thanks for your time, more to come soon! Them Days will be closed for the Victoria Day weekend holiday on Monday, May 19. Sorry for the inconvenience! We will reopen again on Tuesday at 8:30 for business as usual. Keep safe and have fun! 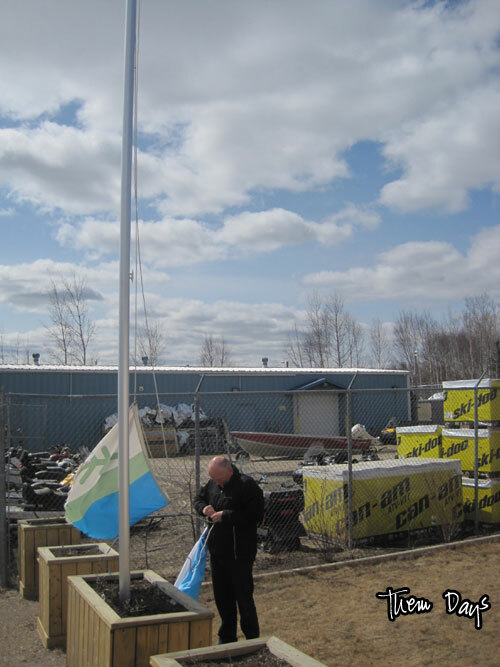 Our Labrador flag outside the office has gotten a little tattered, and we knew it was time for it to go, but the pole is inaccessible during winter and the spring when snow is still around. 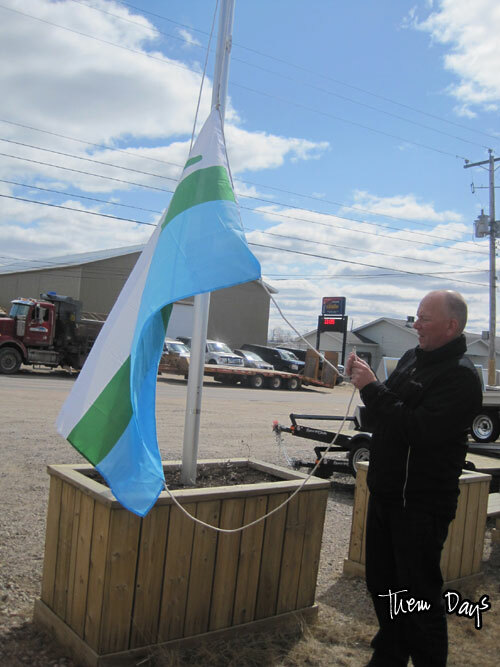 Well, the snow is finally gone (just snowbanks left) and the flagpole is now accessible. 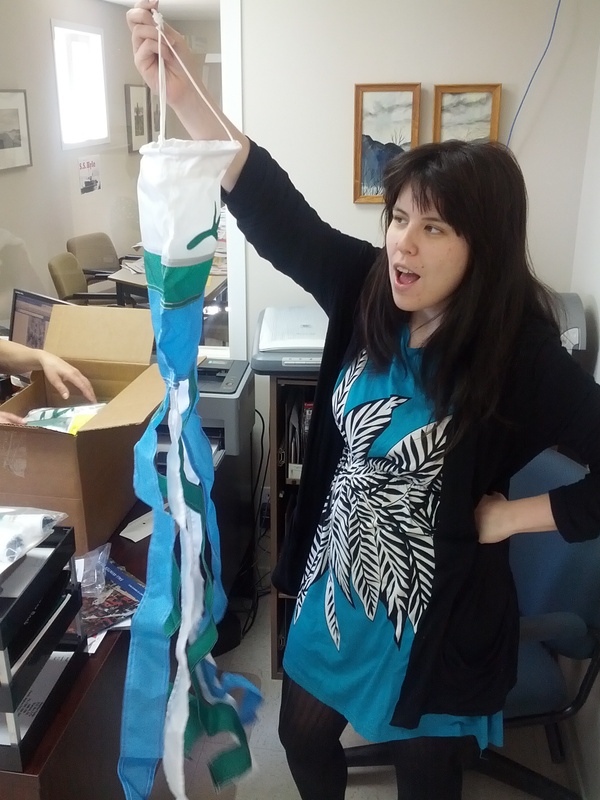 Time to put up that flag outgoing chair Susan gave us at the AGM! Only problem is…Daphne and I were too short to do anything about it. So that’s where Allan came in. 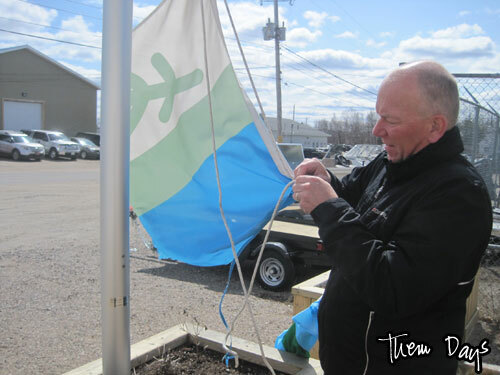 Allan came in to sign our paycheques today (as a side note, YAY we got our operational grant for the year…things were getting pretty tight) and Daphne mentioned the flag pole. 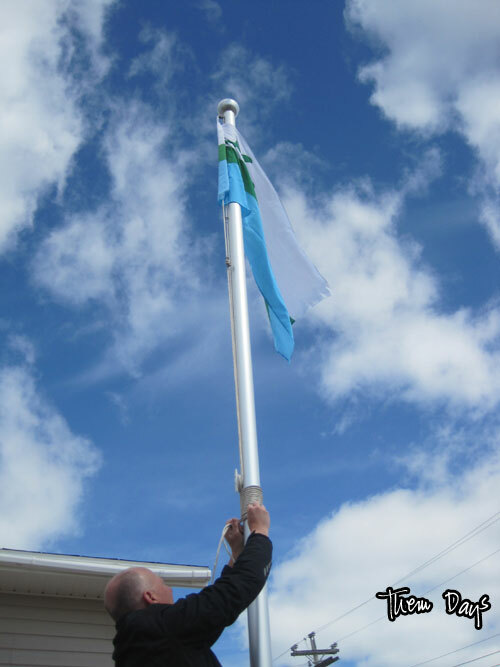 So up climbs Allan and the new flag is now flying proudly! It’s a beautiful day in Labrador…11 degrees according to the sign outside (my computer is telling me 8) and breezy. 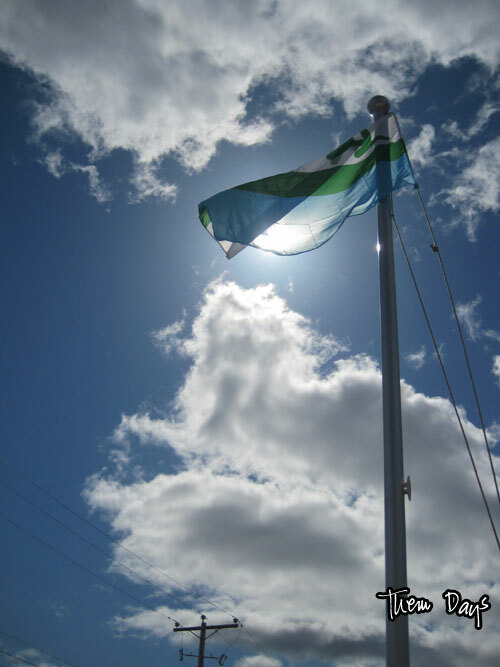 Perfect day to fly a new flag! A little something to smile about this Friday afternoon!